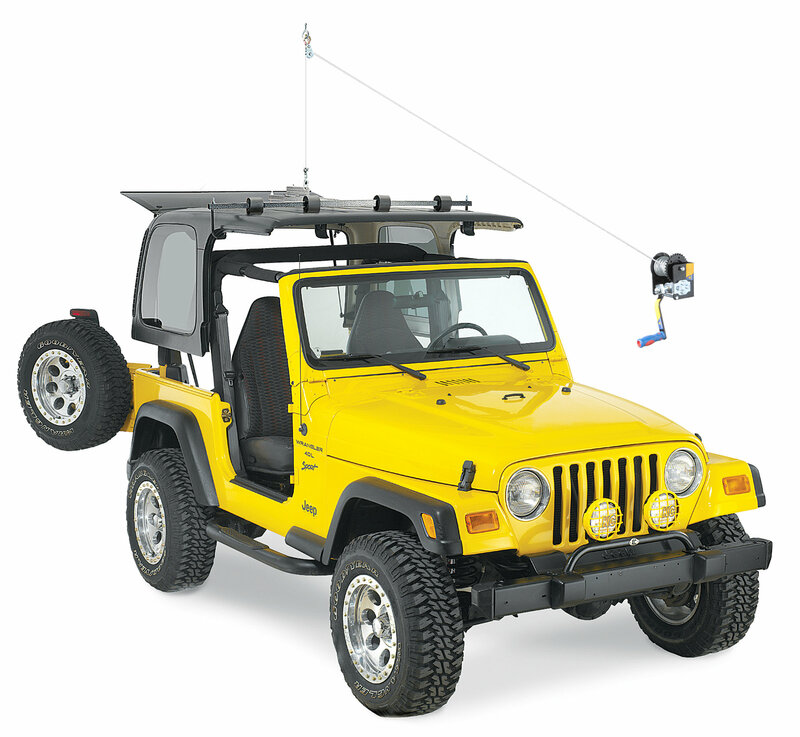 The Jeep Hoist-A-Top is a must have for Wrangler owners. The new Hoist-A-Top makes removing and storing a hardtop an easy, one -person job. The Hoist-A-Top supports any top with a well-balanced steel frame using the new Balance Blade™. Rubber coated hooks and foam-covered hardware will protect your top's finish. The Lange Hoist-A-Top uses an incredibly strong steel powder coated frame that quickly attaches to your vehicle top without any drilling. 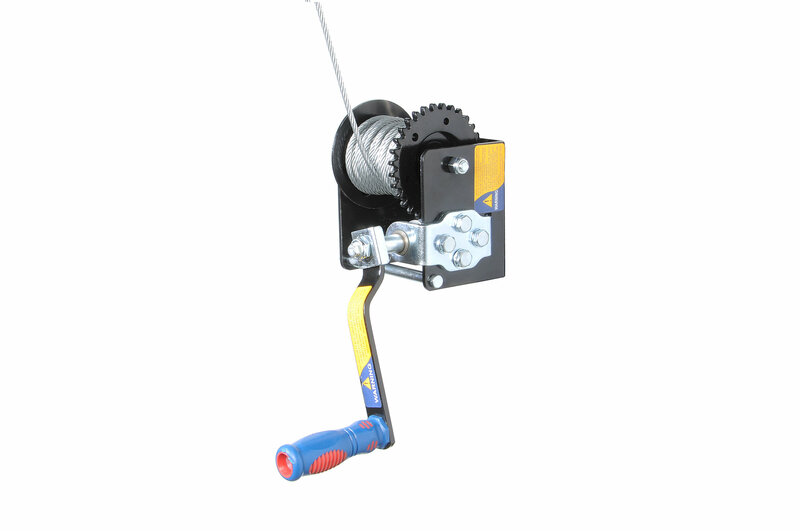 With the turn of a handle a cranking cable pulling mechanism mounted to your garage wall with the cable fed through an eye hook in your ceiling will lift your top to the ceiling in your garage or carport for convenient, out-of-the-way storage. 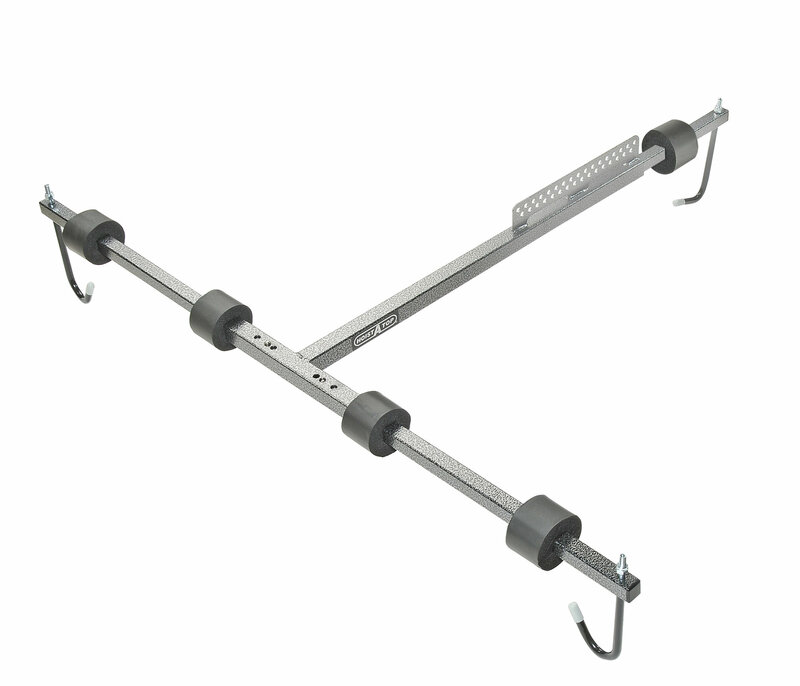 Recommended minimum 8 feet for side wall mount. Heavy Duty powder coated finish for durability and quality. Snap-in-button release design for installation ease. New Balance Blade™ makes balancing the top easier and safer. Additional adaptors for aftermarket tops. Great product. Non traditional install in a wagon shed. Modified the rafters. Lift worked like a charm. Need to make sure the cables are lifting even during set up. Also ground was very slanted. Built a crude ramp to even it a bit. Works great, one man operation. How long is the cable on the winch. I will be installing this in a barn with a very high ceiling. Unfortunately, Lange does not list the length of the cable. However, this is compatible with up to a 22 foot tall ceiling.